At long last I am going to respond to the misinformed people, the so-called critics and the plain nut cases who have railed against my writing and direction of 18 minutes of new scenes in the 30TH ANNIVERSARY EDITION of NIGHT OF THE LIVING DEAD. The folks who think that only George Romero has the right to "mess with" our movie are badly mistaken. To begin with, I was the one who came up with the idea that the "attackers" in our story should be dead people; and that they should be after human flesh. Without those two key ideas, you don't have NIGHT OF THE LIVING DEAD (NOLD). And you probably don't have the "Zombie Genre" as we know it today -- the genre that has launched the careers of so many famous filmmakers and has thrilled so many dedicated fans. So if anybody should get credit for inventing the so-called "modern flesh-eating zombie," I have as much claim to that as anybody does. George and I very much collaborated on the screenplay. I re-wrote his first half of the story, putting it into screenplay form and doing considerable re-writing, and then I went on to write the second half of the finished screenplay. Many other important ideas, in addition to the idea of the attackers being recently dead people and flesh-eaters, were mine alone, such as the killing off of our hero, Ben, by the sheriff and his deputy. Also the way the escape attempt unfolded, the way Harry turned on Ben, etc., etc. By the way, just to make myself perfectly clear, none of my comments here are meant to disparage the excellent work done by George Romero. Without George, the movie would not have existed. And we were solidly behind him as director. But we were all young and this was our first feature movie. We didn't know as much then as we know now. So some of the mistakes I have talked about in this article are mistakes we would not have made later in our careers. To backtrack a little, the way that the 30TH ANNIVERSARY EDITION came about was that Russ Streiner and I, who are the trustees of the corporation that made NOLD, got word that a certain distributor was going to make their own version -- with their own new scenes added. We have a fiduciary obligation to Image Ten, Inc., and its shareholders to make as much money for them as we can, and to prevent others from stealing or profiting from our original work. So we accepted a deal from Anchor Bay to make a 30TH ANNIVERSARY EDITION with new scenes added, and they paid us $200,000 to do so. Again, we are obligated not to turn down these kinds of deals, because we and our shareholders have been ripped off enough over the years, to the tune of millions and millions of dollars. Another very important motivating aspect of the Anchor Bay deal was that we used the vast majority of the money they paid us to totally remaster and refurbish our original negative, employing the processes that were state-of-the-art at that time. 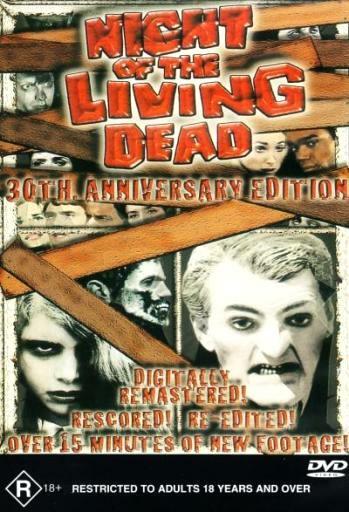 And the original movie -- without any editorial changes -- was released along with the new edition, so that all fans of the original got to see and purchase NIGHT OF THE LIVING DEAD looking better than it had ever before looked on video. I immediately phoned George Romero and asked if he would go along with the deal. He said that he would and that he and I would do the writing together, as we had before, and that he would direct, as before. But he got tied down with another project, and I ended up writing and directing. Anchor Bay loved the final result. The head buyer, Jay Douglas, called me up and said, "You've done something that very few filmmakers have managed to accomplish. 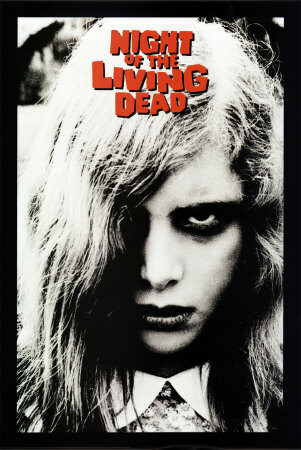 George Lucas did it with STAR WARS and now you've done it with NIGHT OF THE LIVING DEAD. I've been a life-long fan of your movie and I can't tell where the old scenes and the new ones begin and end; it's seamless! A beautiful job!" Now some of the "zealots" who rail against what I've done think that NOLD is so "pure" that altering it is like altering the Mona Lisa. But NIGHT OF THE LIVING DEAD was never a pristine work of art. It is full of bad edits, bad screen direction, continuity blunders and bad acting. It rose above its faults because of the powerful story and zealous hard work of a small group of talented people, including not just George Romero and me, but Karl Hardman, Marilyn Eastman, Judith O'Dea, Duane Jones, Gary Streiner, Russ Streiner, Bill Hinzman, George Kosana, Vince and Rege Survinski -- plus our numerous shareholders and friends, too numerous to mention. In conceiving of the 30TH ANNIVERSARY EDITION, I wrote a PROLOGUE and an EPILOGUE -- because adding material front and back is the surest way not to mess too much with the original. I also added a couple of scenes to the interior. In doing so, I wanted to have some fun addressing some concerns that we worried about 30 years earlier but did not have enough money to take care of them. For instance, we wondered if audiences would buy that this farmhouse in the middle of nowhere could be surrounded by a slew of ghouls. Where had they all come from? So I wrote in a couple of scenes and characters, illustrating that many of the ghouls could have come from the "Beekman's Diner" that Ben talks about at length while he's tearing apart the dining-room table. We also did some pretty nice "tweaking" in spots, during editing. For instance, we fixed the famous "jump cut" in the basement; this was Bill Hinzman's idea, and we fixed it even though we thought 30 years ago that there was no way to do so; but Bill came up with a way, and we implemented it. Also, we fixed the mistake when Ben is disposing of the mutilated body in the upstairs hallway; in the original cut, you can see the face of the live girl "doubling" as the mutilated body (it was actually Kyra wrapped up in the carpet); but we fixed this by cutting into the shot a bit later. So, in making our 30TH ANNIVERSARY EDITION and earning a substantial amount of money for our shareholders, we had a great deal of fun "messing with" our movie, and we were cognizant of what Stephen King said when an interviewer asked him what he thought of what Hollywood had done to his books. He said, "They haven't done anything to them. There they are, right there on that shelf." 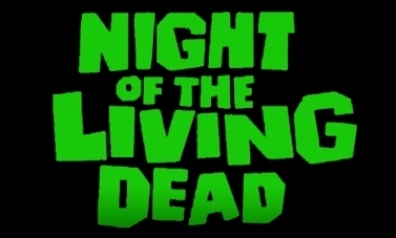 NIGHT OF THE LIVING DEAD in its original form, the form that has stunned, scared and entertained millions of people over the years, is still intact in all its "classic glory." So, lighten up, folks! The 30TH ANNIVERSARY EDITION is just another "fun venture" that can be talked about, argued over, and appreciated or not appreciated in its own way. And you ought to be glad anytime our poor, hardworking, ripped off shareholders get at least a small chunk of the millions and millions of dollars that have ended up, over the years, in the pockets of con men, thieves, ripoff artists and disreputable distributors. 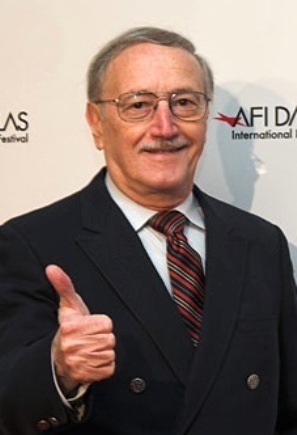 With twenty books published internationally and nineteen feature movies in worldwide distribution, John A. Russo has been called "a living legend." He began by co-authoring the screenplay for NIGHT OF THE LIVING DEAD which has since become known as a "horror classic." His three books on the art and craft of movie making have become bibles of independent production, and one of the them, entitled SCARE TACTICS, won a national award for Superior Achievement in Nonfiction. Quentin Tarantino and many other noted filmmakers have unabashedly stated that Russo's books have helped them to launch their careers. 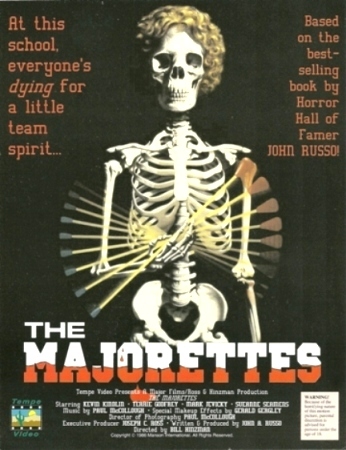 John Russo wants people to know he's "just a nice guy who likes to scare people" -- and he's done it with novels and films such as RETURN OF THE LIVING DEAD, MIDNIGHT, THE MAJORETTES, THE AWAKENING and HEARTSTOPPER. His novel MIDNIGHT was published in twenty-five languages, and the movie, although made on a very low budget, got excellent reviews, attracted a "cult" following, and has been kept in constant release on VHS and DVD by Lions Gate. He has had a long, rewarding career, and he shows no sign of slowing down. Recently his screenplay for ESCAPE OF THE LIVING DEAD was made into a five-part comic book released by Avatar to great acclaim -- and it made the Top Ten of Horror Comics nationally. To date this original story has spawned ten sequels and two graphic novels, plus a slew of tie-in merchandise such as T-shirts, beer mugs, coffee mugs, shot glasses, etc. The outstanding success of this property in comic-book form has shown such a strong grassroots appeal that the movie is now ready to go with Russo directing a top-rated cast featuring Kristina Klebe, Gunnar Hansen, Kane Hodder and Tom Savini. Slated for release in the fall of 2010 are two brand new horror comics written by Russo and a big trade paperback from Kensington Publishing Company comprised of both the original novel of NIGHT OF THE LIVING DEAD and its stark-horror follow-up, also by Russo, entitled THE RETURN OF THE LIVING DEAD. This is the first time that both of these horror classics will be teamed together in one volume. Russo's popularity among genre fans remains at a high pitch, evidenced by the fact that this year alone he will be a main attraction in four movie-making books by other authors, and will be a guest on an Internet panel hosted by Edgar-winning writer Jonathan Maberry. John Russo's current movie projects, in addition to ESCAPE OF THE LIVING DEAD, include a horror thriller about teenage vampires, a dark fantasy concerning an alien invasion of a small town, and a hilariously funny TV series entitled THE ZOMBIE COMEDY SHOW.